It's Just Mobolaji | Music & Entertainment: New Talent: Becky, Releases Debut EP ‘Control’ and It's A Good One! New Talent: Becky, Releases Debut EP ‘Control’ and It's A Good One! 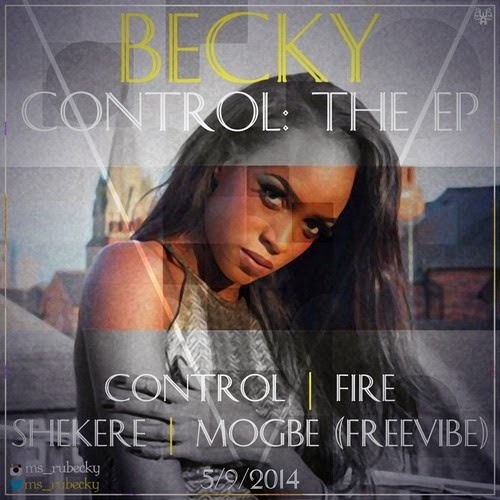 2013 saw the release of Becky's single ‘Angel’ featuring L.A.X, and left people wondering if they'd hear more music from her - putting their worries and wonders to bed, Becky has revealed her latest project; her debut EP ‘Control’, and it is a commendable piece of work. The vocal prowess kicked off September with four Afro-pop tracks on the project that sees a blend of the English and Yoruba language, with a hint of Nigerian pidgin. Originally from Abuja - Nigeria, UK based Becky is a notable artist of many talents; from being a singer/songwriter to a guitarist and a dancer, Becky's body of work speaks for itself, and has already been punned as the "black Jhené Aiko" by friends. Not shying away from her ability to sing, Becky teams up with producers Studio Magic, Maffy and D Alfred to help bring her musical visions to life. Incorporating Afrobeats with Pop and her strong vocals, Becky successfully creates a full-length project of songs that have it's own vibe to it and will have one dancing from the opening track. The EP may take a while to sink in as it has done for me, but I couldn't take away from the fact that Becky's first EP is a good one. Take a listen below and let me know what your favourite track off ‘Control’ is!